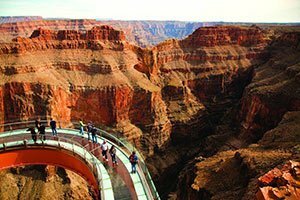 "My vision was to enable visitors to walk the path of the eagle…" stated David Jin, the creator of the Grand Canyon Skywalk. 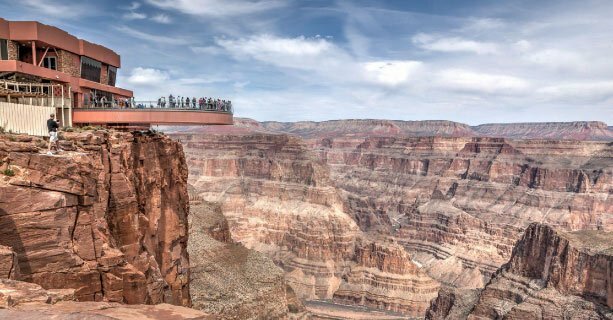 Commissioned by the Hualapai Indian tribe, the Skywalk is a U-shaped cantilevered glass bridge that protrudes 70 feet beyond the rim of the Grand Canyon, giving visitors a view of the 4,000 foot drop to the Colorado River on the Canyon floor. Opened to the general public since March 28, 2007, this unique design provides an unprecedented and exhilarating view of one of the seven natural wonders of the world. 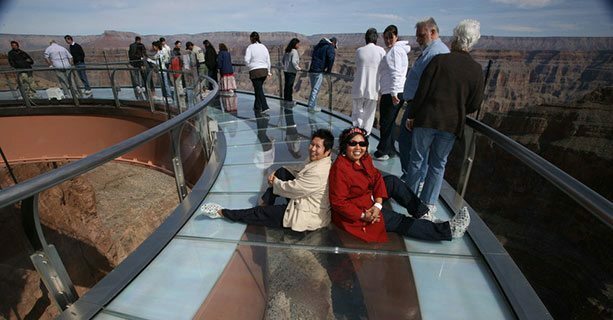 The Skywalk allows visitors to walk out and into the Canyon, peering through the glass floor down at the Canyon or over the glass walls into the valley beyond. 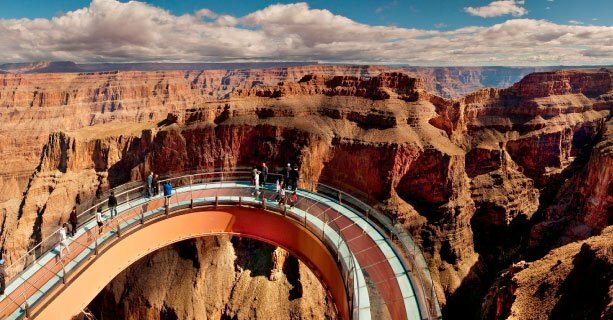 It is the highest man-made structure in the world, affording visitors a 720 degree view of the Grand Canyon West. Able to support the weight of 71 fully loaded Boeing 747 airplanes and sustain winds in excess of 100 miles per hour, the Skywalk is an engineering first, passing engineering requirements and specifications by 400 percent. The walls and floor are built from four inch thick glass so clear visitors could think they're walking on clouds. Visitors are provided with shoe covers to prevent the glass floor from being scratched. 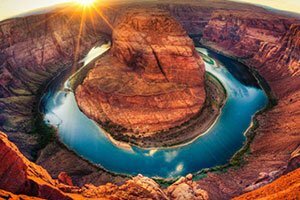 The architects and engineers set out to create a structure that would balance well with the natural surroundings of the Canyon, as well as protect the values held by the Hualapai. 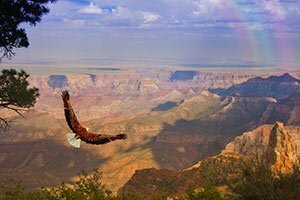 The West Rim of the Grand Canyon used to average approximately 200 visitors per day. Since the grand opening of the Skywalk, that number has risen to a staggering 2,000 visitors daily. 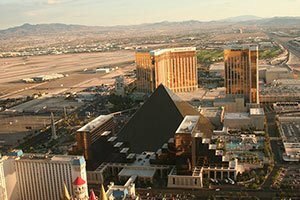 Access to the Skywalk runs from dusk to dawn and costs $33.00 per person in addition to the cost of your tour package. One hundred and twenty visitors will be allowed on the bridge at a time. 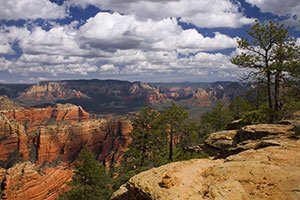 Admittance is first come, first serve for walk up visitors, though reservations can be made in advance. 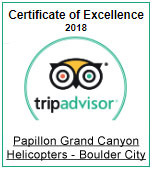 Papillon offers a variety of Grand Canyon West airplane tours that land in close proximity to the spectacular Skywalk. 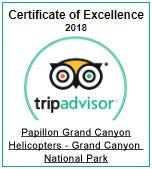 These tours depart daily from both our Las Vegas and Grand Canyon South Rim locations. You may select a departure location from the two buttons at the top of this article to book the experience of a lifetime. 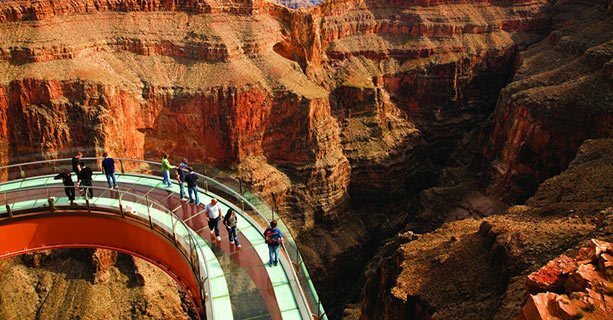 There is an entrance fee of US $33.00 to enter onto the Skywalk." Fee is not included in tour price".